Musicians and filmmakers join forces to rebuild the city and protect Louisiana’s wetlands Tab Benoit is passionate about two things: music and Louisiana’s wetlands. The past few years have been busy. Tab appeared in and provided original music for the IMAX documentary Hurricane on the Bayou; was nominated for a Grammy for Best Traditional Blues Album (Brother to the Blues) in 2006; won B.B. King Entertainer of the Year at the 2007 Blues Music Awards; and was awarded Contemporary Blues Male Artist of the Year in both 2007 and 2008. His latest album, Night Train to Nashville, is Tab at his finest. “It’s a live record, me and Louisiana’s LeRoux; Kim Wilson from the Fabulous Thunderbirds; Jim Lauderdale, a songwriter out of Nashville; and Jimmy Hall from Wet Willie. It’s a great lineup of guys. Jumpin’ Johnny Sansone [and] Waylon Thibodeaux play on it. It was a lot of fun to do.” The performance that inspired the album will soon be available on a DVD of the same title. Tab explains that the river levees are the problem, not the levees built around cities as protection, but the ones blocking the natural flow of the Mississippi River. The river built the land we live on by continuously depositing sediment, replenishing tributaries and marshes. The loss of the delta means the loss of natural resources, wildlife and vegetation. “We’re losing the coast at an acre an hour,” says Tab. “We didn’t need hurricane protection levees until we lost all this land. Every year we have to worry more about a storm coming into the Gulf. Katrina and Rita took 217 square miles of land in just a couple of months and killed over 300 million trees.” Even more land was lost after Hurricanes Ike and Gustav. November marks the end of hurricane season, but with the next one just around the corner, Tab believes residents need to band together and speak out to government officials. 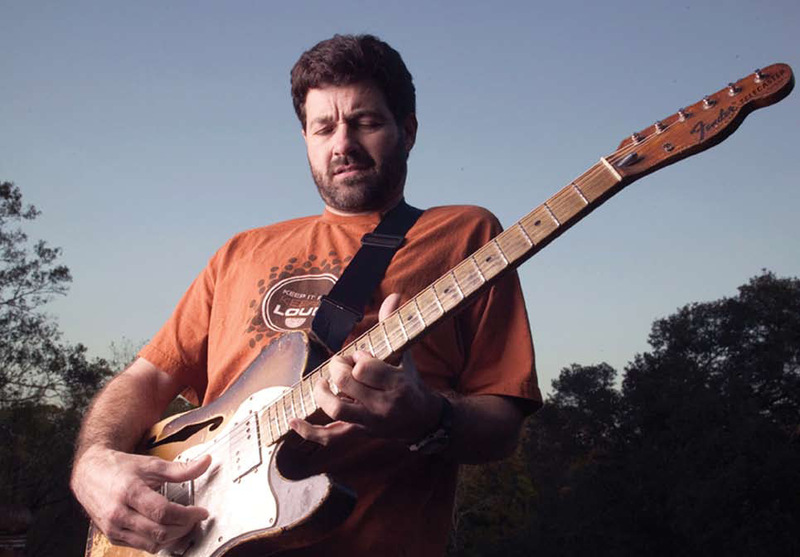 For more information about Tab Benoit, VOW or to order Night Train to Nashville, visit www.tabbenoit.com.